Creating award winning advertising campaigns to drive foot traffic is all very well if the packaging fails to inspire at point-of-purchase. People simply ‘ignore design that ignores people’. Goodees, Part of the AK Group manufacture a range of high-quality hygiene disposables including Baby Diapers, Adult Diapers and Adult Anatomic Inserts. 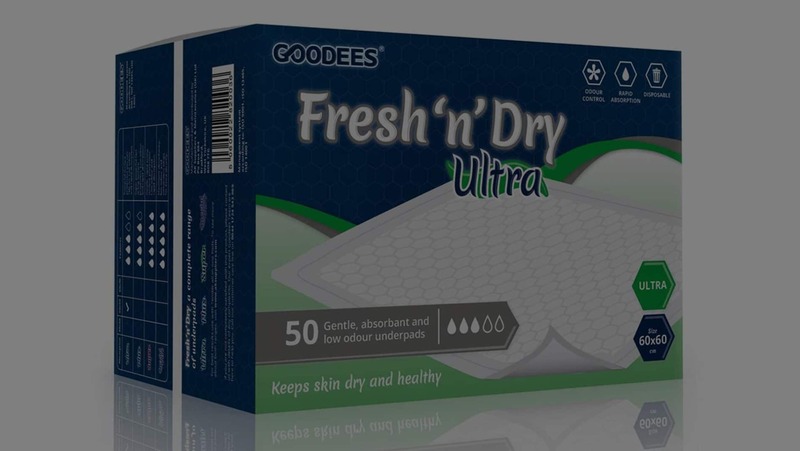 With the introduction of the new adult incontinence range into an already crowded marketplace, Goodees were looking for design and branding approach that really stood out for their established Fresh ‘n’ Dry range. We created a range of packaging solutions to communicate the core proposition: Goodees brand means high quality and economical hygiene disposables for adults. The discrete yet appealing packs with their prominent product image, geometric shapes and handy sizing and application guides were an immediate success receiving favourable feedback from retailers, wholesalers and users.